The Trenchless Team is your #1 Source for Trenchless Sewer Contractors in Newark. 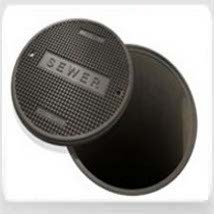 Providing state of the art technology, repair or replace your sewer line faster and more efficiently then traditional "dig up and replace" methods still used by most other contractors. Our advanced equipment and highly experienced crews can handle any size trenchless sewer repair jobs from home owners to big industrial projects. Why would you ever let a contractor tear up your yard or breakdown structures to replace your sewer line? Call The Trenchless Team today for all the information and a free estimate to have your sewer line replaced the smart and economical way with new trenchless technology.